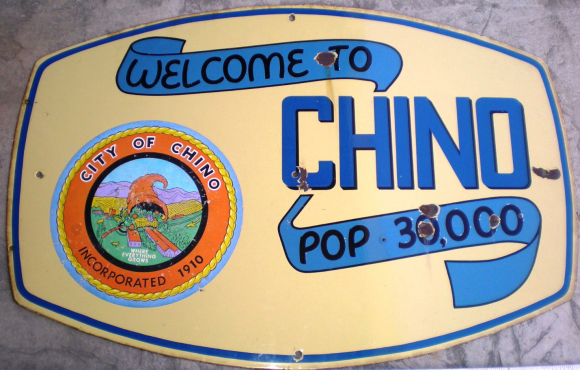 Municipal sign for The City of Chino. Incorporate 1910. Welcome To Chino, Population 30,000.